An anonymous AT&T employee sent a message to Gizmodo that said, “I’m an att employee and my boss just announced that vacation requests for the end of september will be denied due to an ‘event blackout’. Historically the only time they’ve done this was for an iphone release. So we’re looking at the last two weeks of september,” said the source. One sure way to gauge the future is to simply look at the past. According to this AT&T employee, and according to actually unfoldings in the past, AT&T would black out vacation dates around the time the iPhone would be released. 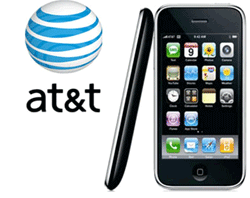 This means, AT&T employees were forbidden to take any vacation days during a new iPhone launch. September has long been the rumored release date for the Apple iPhone 5. Except now we have inside leaked information from a direct employee of AT&T. What do you think – is this a sure sign that we’ll see the iPhone 5 released during the last 2 weeks of September?